We are searching for a PhD candidates to do research in the area of fault tolerant distributed systems. 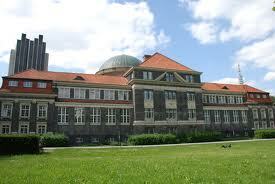 We are a highly encouraged international team of researchers situated in the south of Hamburg. We offer ideal working conditions, a beautiful campus, and a competitive salary. The team is interested in a variety of topics in the field of distributed computing (see official website). The position will be filled starting February 2012 (exact date is negotiable). Deadline for applications is January 2nd, 2012. More details and information about applications (including the identifier D-11-130) are published at: Official Website. Demikian kami sampaikan tentang PhD Scholarship Position in Distribute​d Computing semoga informasi tentang PhD Scholarship Position in Distribute​d Computing ini bermanfaat.